COLUMBUS — The fatal shooting of a 15-year-old boy has shaken Columbus’ community of Somali refugees. The Dispatch reports Mohamed Abdulkadir was found shot to death Monday afternoon in the driveway of a Columbus home. Residents and family have told The Dispatch that Mohamed came home after classes at Licking Heights High School and then walked to a subdivision to possibly play basketball with friends. Columbus emergency crews responded after an anonymous call about a drive-by shooting. The teen was pronounced dead at the scene. A Columbus police homicide supervisor said he couldn’t confirm whether Mohamed was killed during a drive-by and wouldn’t provide any details about the slaying. A man who lives across the street from the teen’s family said the community is shocked by what happened. COLUMBUS — Columbus’ city health agency is investigating two cases of Legionnaire’s disease with ties to Ohio State University. The Dispatch reports one of the cases involves a student at Drackett Tower dormitory and the second a Columbus resident employed at the university’s Newark campus. Ohio State said in a statement Tuesday that Columbus Public Health has concluded the cases aren’t connected. It’s uncertain where or how the two people contracted the disease, which is caused by bacteria in water systems. Water fountains on one side of the 12-story Drackett Tower have been shut off. Some students living at Drackett have complained they learned of the situation through social media and not the university. A university spokesman said notification wasn’t required because it was an isolated case not an outbreak. CLEVELAND — Cleveland has asked the FBI for help in reducing the number of unsolved homicides. Police Chief Calvin Williams on Tuesday announced the formation of a homicide review task force that will include FBI agents and Cuyahoga County sheriff’s deputies. Mayor Frank Jackson last month called the city’s homicide clearance rate of around 50 percent “unacceptable.” There have been 85 homicides in Cleveland this year. Details about how the task force will operate haven’t been finalized. The head of the Cleveland FBI office says he’ll make agents and crime analysts available. Williams said the task force will examine homicide cases to determine if there are links to other violent crimes across Cuyahoga County. Cleveland has commissioned a study to examine how its homicide unit is staffed and detectives engage residents. COLUMBUS — A federal prosecutor says a case against four alleged overseas cocaine traffickers will be tried in Ohio’s capital city under a new initiative. 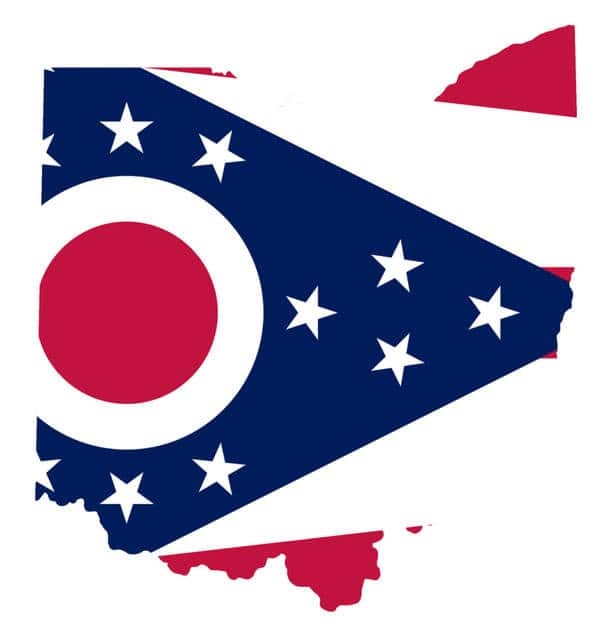 Ben Glassman is the U.S. attorney for the southern half of Ohio that includes Columbus. He announced charges today against three men from Ecuador and one from Mexico. The U.S. Coast Guard took the men into custody Aug. 18 in the Pacific Ocean about 475 miles northwest of the Galapagos Islands. The government also seized 25 packages it says the men threw overboard which contained about 1,580 pounds of cocaine worth $25 million. Glassman says the local prosecution is part of an effort to expand his office’s role fighting drugs. He says the Justice Department coordinates how prosecutions are meted out. CINCINNATI — Police in Ohio say a driver fleeing a traffic stop crashed his vehicle into a tree, killing all three occupants. Authorities say the crash occurred early Wednesday in Cincinnati after an attempted traffic stop. Springfield Township police say the driver made a lanes violation and a registration check showed multiple driving suspensions linked to the car’s license plate. The driver fled at a “high rate of speed,” and officers reported losing sight of the vehicle. Cincinnati police say 36-year-old Mussah Pierre lost control of the 2013 Chevrolet Impala. They say the vehicle crossed the center line, hit a parked vehicle, overturned and hit a tree. Police say Pierre, 35-year-old John Edwards and 21-year-old Jermaine Tucker died at the scene. Police didn’t identify their hometowns. Authorities found handguns and marijuana inside.